Worried about buying a home for the first time? Not sure where to begin when selling your home? 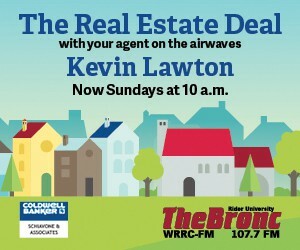 Well, Kevin Lawton, real estate agent of Coldwell Banker Schiavone & Associates, is here to help you realize your real estate dreams on The Real Estate Deal, Sundays at 10 a.m.
Join your agent on the airwaves Kevin Lawton every Sunday as he provides tips and hints on buying, selling, renting, and investing in a home. He will also keep you up to date with current trends in the world of real estate and highlight featured local homes for sale in the Mercer and Burlington County areas. Interested in buying or selling a home? You can Like Kevin Lawton on Facebook, follow him on Twitter, Snapchat, and Instagram, and check out his blog here. The Real Estate Deal is underwritten by Kevin Lawton, real estate agent of Coldwell Banker Schiavone & Associates and by Brad Zerbe of Gateway Mortgage Group. 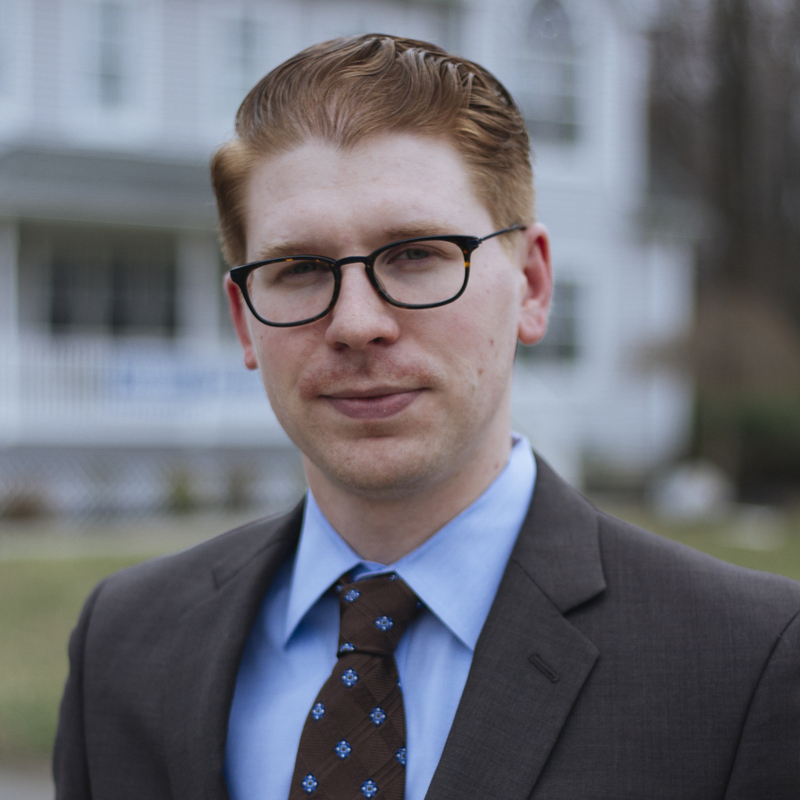 (Host) Kevin Lawton is a Realtor based in Bordertown, NJ and a Rider alumni. As a real estate agent concentrating on Burlington County and Mercer County, Kevin guides his clients through the processes of either buying, selling or renting homes while making them easy to understand and stress-free. Kevin is always happy to answer any questions or concerns his clients may have on any aspect of the real estate business. For Kevin, seeing people turn a property into their home makes it all worthwhile. Connect with Kevin on LinkedIn here, and click here to see his official profile here. (Producer) Victoria Clayton is the producer of The Real Estate Deal. She is majoring in Television, Radio, and Filmmaking with a concentration in Filmmaking. In her spare time she enjoys crafting and road trips. Victoria is a senior graduating in May 2019. [ENCORE PRESENTATION] What Happens Now?– On this week’s episode of The Real Estate Deal, Kevin Lawton explains what happens after you decide to buy. Confidence is Key– On this week’s episode of The Real Estate Deal, Kevin Lawton explains the results of the Realtor Confidence Index. Kevin talks about good vs bad inventory and a few tips on how to keep your house trendy without breaking the bank. TV vs Reality– On this week’s episode of The Real Estate Deal, Kevin Lawton discusses how home improvement shows can influence a potential buyers expectations. [ENCORE PRESENTATION]Peace Of Mind– Kevin Lawton talks about home inspection from the seller’s point of view with returning guest Carlo Vitale. Expect the Unexpected– On this week’s episode of The Real Estate Deal, Kevin Lawton is joined by Jacqueline Faison from American Home Shield. They explain the benefits of buying a Home Warranty and how it can help you in the future. Common Issues– On this week’s episode of The Real Estate Deal, Kevin Lawton discusses the most common issues to look out for when getting your home inspected. Check Your Inventory– On this week’s episode of The Real Estate Deal, Kevin Lawton explains good vs bad inventory, and what we’re going to see in the future. [ENCORE PRESENTATION]Going Once, Going Twice– On this week’s episode of The Real Estate Deal, Kevin Lawton sets the scene of Real Estate Auctions and how to navigate your way to the best deal. Keep Your House From Getting Hacked– On this week’s episode of The Real Estate Deal, Kevin Lawton is joined by Krista from NJCICC. Krista explains how cyber security relates to real estate and how to protect yourself from it. Is Your House Trendy?-On this week’s episode of The Real Estate Deal, Kevin Lawton talks about new development projects, old homes, and how to keep up with house trends. [ENCORE PRESENTATION]CUT! !-On this week’s episode of The Real Estate Deal, Kevin Lawton tells us how far an agent will go to help their client seal the deal. We’ve Got Issues– On this week’s episode of The Real Estate Deal, Kevin Lawton talks about how to prepare your house for the cold when you’re trying to sell. Kevin also explains that you need to know when issues are major or minor. This will help you to figure out which issues need immediate attention. Social Media is Your Friend– On this week’s episode of The Real Estate Deal, Kevin Lawton talks about how to use social media to your advantage, whether you are buying or selling. What Happens Now?– On this week’s episode of The Real Estate Deal, Kevin Lawton explains what happens after you decide to buy. [ENCORE PRESENTATION]HomeSeeker VS SmartStart– On this week’s episode of The Real Estate Deal, Kevin Lawton sits down with Brad Zerbe of Gateway Mortgage group to discuss the details of the HomeSeeker and SmartStart programs for your personalized mortgage. They also go into what a silent second mortgage is and what refinancing really is. Down Payment Protection– On this week’s episode of The Real Estate Deal, Kevin Lawton is joined by Brad Zerbe of Gateway Mortgage Group. Brad and Kevin discuss the benefits of the Down Payment Protection Plan Gateway Mortgage Group offers. They also discuss the damages of mortgage fraud from a lender’s perspective. 63,194 Listeners!– On this week’s episode of The Real Estate Deal, Kevin Lawton encourages listeners to read I Will Teach You to be Rich. Kevin also stresses the importance of having a good credit score and to be aware of real estate scams . Looking for a Real Estate Agent?– On this week’s episode of The Real Estate Deal, Kevin Lawton talks about the best characteristics an Agent can have and what kind of marketing benefits they can offer. Gen Z– On this week’s episode of The Real Estate Deal, Kevin Lawton talks about Generation Z and their buying habits. What are the differences between the generations when buying real estate? Clean, Clean, Clean– On this week’s episode of The Real Estate Deal, Kevin Lawton introduces his new Chesterfield listing and explains how cleanliness sells. Agents>Home Owner Sale – On this week’s episode of The Real Estate Deal, Kevin Lawton Lists the benefits of selling through an Agent and how much they help with marketing. [ENCORE PRESENTATION]Stay Above Water– On this week’s episode of The Real Estate Deal, Kevin Lawton explains what “being underwater” means and how to raise your home values. Read All About It– On this week’s episode of The Real Estate Deal, Kevin Lawton talks about his hometown of Bordertown and what it has to offer. [ENCORE PRESENTATION]Client VS Customer– On this episode, Kevin Lawton clears the air on the difference between a client and a customer in the real estate business. Mortgage Fraud– On this episode of The Real Estate Deal, Kevin Lawton talks about mortgage fraud, Airbnb, and real estate stats. Land of Opportunity– On this episode of The Real Estate Deal, Kevin Lawton explains what an equal opportunity zone is and why it’s a big deal. Real Estate vs Nature– On this episode of The Real Estate Deal, Kevin Lawton discusses the changes made to real estate in hurricane effected areas. [ENCORE PRESENTATION]Tiny Houses– On this episode of The Real Estate Deal, Kevin Lawton is joined by Founder of the United Tiny House Association, John Kernohan, to talk all about tiny houses the upcoming 2017 New Jersey Tiny House Festival, and more on this special episode of The Real Estate Deal. [ENCORE PRESENTATION]Dos and Don’ts for First Time Home Buyers– On this week’s episode of The Real Estate Deal, Kevin Lawton answers the questions he received from the First Time Home Buyers Dos and Don’ts Seminar at Rider University. Kevin tells you how to determine your search area when looking for your first home, and the right time to buy your home. Stay in Season– On this episode, Kevin Lawton stresses the importance of appearance when trying to sell your property. [ENCORE PRESENTATION]Your Rights and Their Rights– On this episode, Kevin Lawton goes over more rights that tenants and landlords have, including what rules tenants need to see in their leases, and more. Back to School-On this week’s episode of The Real Estate Deal, Kevin Lawton explains how schools effect home values and what the pros and cons can be when selling your property on your own. CUT! !-On this week’s episode of The Real Estate Deal, Kevin Lawton tells us how far an agent will go to help their client seal the deal. [ENCORE PRESENTATION] Homeseeker vs Smartstart-On this week’s episode of The Real Estate Deal, Kevin Lawton sits down with Brad Zerbe of Gateway Mortgage group to discuss the details of the HomeSeeker and SmartStart programs for your personalized mortgage. They also go into what a silent second mortgage is and what refinancing really is. [ENCORE PRESENTATION] Tax Assessment vs Market Value-On this week’s episode of The Real Estate Deal, Kevin Lawton talks about the big topic of tax assessment VS market value, the differences between them and why there is so much confusion regarding these two terms. Lord of the Land– On this episode of The Real Estate Deal, Kevin describes the responsibilities and obstacles you may have while becoming a landlord. Timing is Everything– On this episode of The Real Estate Deal, Kevin answers some frequently asked questions you may have when looking for somewhere to invest. He also talks about how the timing of your investment is crucial to success. Water, Water, Everywhere– On this episode of The Real Estate Deal, Kevin explains the importance of touring your possible real estate investments in various weather conditions. One Step at a Time- On this episode of The Real Estate Deal, Kevin talks about possible outside setbacks and alternatives to the usual downpayment. No Strings Attached– On this episode of The Real Estate Deal, Kevin explains why it is best to keep your emotions out of investing. [ENCORE PRESENTATION] The Deed Will Be Done– (This Encore episode was originally aired on March 12, 2017.) On this special edition of The Real Estate Deal, Kevin will be joined by Sidney D. Torres from CNBC’s The Deed to talk about the show, as well as some of his experiences as a home flipper. Also, Kevin gives his prediction of the direction of the real estate market in 2017 and more. Going Once, Going Twice– On this week’s episode of The Real Estate Deal, Kevin Lawton sets the scene of Real Estate Auctions and how to navigate your way to the best deal. Stay Above Water– On this week’s episode of The Real Estate Deal, Kevin Lawton explains what “being underwater” means and how to raise your home values. To Rent, Or Not To Rent– On this week’s episode of The Real Estate Deal, Kevin Lawton discusses the pros and cons of renting property. Get your CO here!– On this week’s episode of The Real Estate Deal, Kevin Lawton talks about the Certificate of Occupancy. He explains what it is, why you need it, and what they look for. Short Sales and Rental Investments– On this week’s episode of The Real Estate Deal, Kevin Lawton explains what short sales are and what “short” in the name means. He also explains the benefits of investing in rental property. [ENCORE PRESENTATION] HomeSeeker VS SmartStart– On this week’s episode of The Real Estate Deal, Kevin Lawton sits down with Brad Zerbe of Gateway Mortgage group to discuss the details of the HomeSeeker and SmartStart programs for your personalized mortgage. They also go into what a silent second mortgage is and what refinancing really is. What a Difference 1% Makes– On this week’s episode of The Real Estate Deal, Kevin Lawton explains why first-time home buyers should be acting more quickly now, and how much of a difference 1% interest rate can make. HomeSeeker VS SmartStart– On this week’s episode of The Real Estate Deal, Kevin Lawton sits down with Brad Zerbe of Gateway Mortgage group to discuss the details of the HomeSeeker and SmartStart programs for your personalized mortgage. They also go into what a silent second mortgage is and what refinancing really is. Back Into The Spring Of Things– On this week’s episode of The Real Estate Deal, Kevin Lawton talks about how the market is picking up as we finally get into spring. Also, listen in to learn about the Home Seekers Program and redevelopment projects happening in Bordentown. [ENCORE PRESENTATION] Brad Is Back– Brad Zerbe of Gateway Mortgage is back as a guest on The Real Estate Deal. Kevin and Brad talk about construction loans, rehab loans, and various other types of loans. [ENCORE PRESENTATION] The Toast of The Town– On this week’s episode of The Real Estate Deal, Kevin Lawton is joined by Dylan Hallahan, a Rider alumni and a Junior Partner and Adviser of RU Financial. The two go over the overall goal of saving to buy a home, advice on some good ways to save money to make that first down payment, and even…toast? Making a Big Difference with Small Change– On this week’s episode of The Real Estate Deal, Kevin Lawton sits down with Eve Picker from Small Change. The two go over what Eve does, how crowdfunding for real estate burst onto the scene a few years ago, making investments, and more. In The Current Stats– On this week’s episode of The Real Estate Deal, Kevin Lawton revisits the statistics of Mercer and Burlington County, and see how they line up against each other. Also, Kevin goes over the current inventory accumulation, and how long that will last on the market. Clients, Concessions and Credit– On this week’s episode of The Real Estate Deal, Kevin Lawton discusses his most recent work with clients. Kevin also goes over the difference between concession and credit. Closing Times and Dates– On this week’s episode of The Real Estate Deal, Kevin Lawton talks about closings, the final part of the real estate transaction between new home owners and realtors. Also, Kevin talks about why the market is heating up and why it’s the time to sell. The Stats Are Back– On this week’s episode of The Real Estate Deal, Kevin Lawton is diving into the latest stats for Burlington and Mercer County. Also, Kevin will be talking about the high desire for homes that have access to everything you need and why. You Can Fly With Tink– On this week’s episode of The Real Estate Deal, Kevin Lawton is joined by Mike Granger from Tink Construction Services. Mike talks about what his construction company is all about, and the reason behind its name. Kevin and Mike also go into detail about home improvements, renovations, current trends in those subjects, and more. Solar Round The World– On this week’s episode of The Real Estate Deal, Kevin Lawton is joined by George McGrady from Evoke Solar to talk all things solar, including the benefits of getting solar panels, why to get them, how to get them, the savings that you get by using solar energy and more. Looking Forward and Backwards– On this week’s episode of The Real Estate Deal, Kevin Lawton talks about what to expect from the real estate market in 2018. Kevin also looks back to the units settled back in November 2017. All About The Numbers– On this week’s episode of The Real Estate Deal, Kevin Lawton talks about the new tax reform that just got passed, what’s changed from the previous version, and what it affects when it comes to buying a home. Not Pretty In Pink– On this week’s episode of The Real Estate Deal, Kevin Lawton talks about debating whether or not to change the color of his ugly new office bathroom, some great new listings in Columbus, New Jersey, and a few holiday gift ideas to give to new homeowners. The Toast of The Town– On this week’s episode of The Real Estate Deal, Kevin Lawton is joined by Dylan Hallahan, a Rider alumni and a Junior Partner and Adviser of RU Financial. The two go over the overall goal of saving to buy a home, advice on some good ways to save money to make that first down payment, and even…toast? Tax Assessment VS Market Value– On this week’s episode of The Real Estate Deal, Kevin Lawton talks about the big topic of tax assessment VS market value, the differences between them and why there is so much confusion regarding these two terms. Dos and Don’ts for First Time Home Buyers– On this week’s episode of The Real Estate Deal, Kevin Lawton answers the questions he received from the First Time Home Buyers Dos and Don’ts Seminar at Rider University. Kevin tells you how to determine your search area when looking for your first home, and the right time to buy your home. Hitting The Wayback Machine– On this Halloween edition of The Real Estate Deal, Kevin Lawton revisits the main topic of the very first edition of the show, which is when you buy your first home, you also need to think about your second home. Plus, a refresher on what sweat equity is and more. Real Spooky, Real Deal– As Halloween approaches, Kevin Lawton gives advice on decorating your home for Halloween, as well as decorating throughout the rest of the year. Kevin also talks about the upcoming annual Halloween Parade in Bordentown and the potential tax reform that may affect how people deduct their mortgage interests. The Gift That Keeps On Giving– On this week’s episode of The Real Estate Deal, Kevin Lawton is joined by Marc Silverman of GMH Mortgage Services, LLC. The two talk about mortgages, and what “gifting” means in real estate. They also go over the dos and don’ts when going for a mortgage, credit scoring, how to increase your credit score, and trying to convince renters to buy. Informing The Good People– On this week’s episode of The Real Estate Deal, Kevin Lawton clears the air on the differences between being an agent and being a broker, and even tells you about mortgage that pays off student debt. All of this and more only on The Real Estate Deal! Home Is Where The Heart Is– On this week’s episode of The Real Estate Deal, Kevin Lawton goes back to his roots to talk about some Rider University Alumni-related events, plus more real estate tips and tricks, including how to look up the value of a home on Zillow. Realtors Unite– On this episode of The Real Estate Deal, Kevin Lawton talks about some featured homes, real estate referrals, and the bill that the National Association of Realtors are trying to get Congress to pass due to the damage the recent hurricanes have done. Real Estate Relief– On this Labor Day weekend edition of The Real Estate Deal, Kevin Lawton talks about how Hurricane Harvey has affected the home owners in Texas. Also, Kevin talks about the Freddie Mac proposal benefits and much more. Open House Season– On this episode of The Real Estate Deal, Kevin Lawton focuses on the topic of open houses and the many benefits they have for sellers and buyers alike. Plus, Kevin will also be discussing how homeownership rates are rising. No Man Is An Isles– Kevin Lawton is joined by Markese Humphrey from Isles Inc., who talks about the many helpful programs that Isles Inc. offers for first-time home buyers and current home owners. 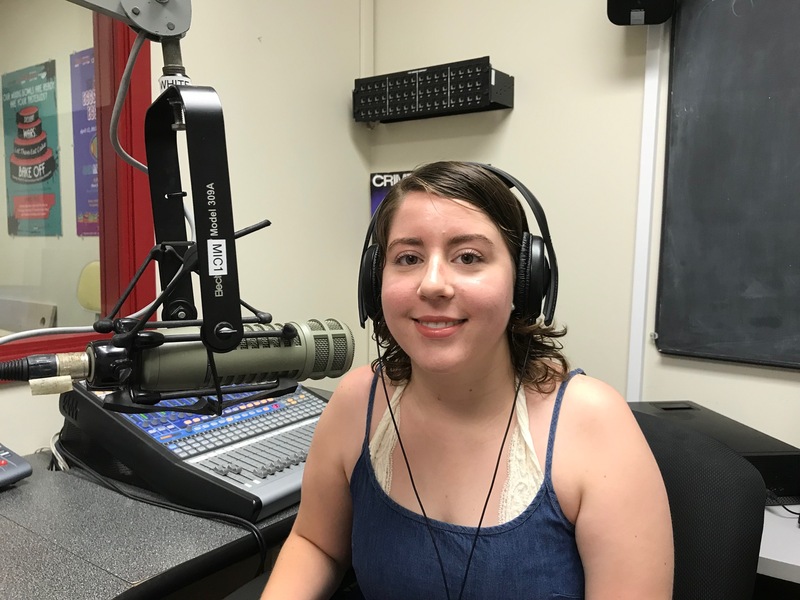 They also talk about the new pedestrian bridge in Trenton, the New Jersey Homesavers Program, and more! Linen and Colors and Design, Oh My– On this episode of The Real Estate Deal, Kevin Lawton is joined by real estate agent Grant Wagner, where he brings his flair for interior design to the show and discuss what colors are in for this season, how people’s preferences have changed over the years, and so much more! Trenton’s The Town– On this episode, Kevin Lawton talks about the NJ Realtor HQ for winning the New Good Neighbor Award in Trenton, as well as how an area’s school district can affect the value of a home, and his new home search app that allows him to see what you’re searching for in a home so he can help find the right home for you. Escrow-Go & More– Kevin Lawton covers another new listing in Bordentown City, explains what escrow deposits are, and Zillow’s new Instant Offers program and if it will effect the business of realtors. Home Searchers– On a special Father’s Day edition of The Real Estate Deal, Kevin Lawton talks about National Home Owners Month, opportunities to invest in properties in Trenton, and the wonders of Coldwell Banker’s home search tool. Fannie Mae– Kevin Lawton covers a new listing in Bordentown City, and explains what Fannie Mae is, and three big changes that have recently occurred in the real estate business. Tiny Houses– On this episode of The Real Estate Deal, Kevin Lawton is joined by Founder of the United Tiny House Association, John Kernohan, to talk all about tiny houses the upcoming 2017 New Jersey Tiny House Festival, and more on this special episode of The Real Estate Deal. The HOA– On this episode, Kevin Lawton talks about the Homeowner’s Association in detail, including their fee and the rules that they enforce. Kevin Answers Your Questions– Kevin Lawton answers some of your questions on this episode of The Real Estate Deal, like how the eviction process works and how to handle it as a landlord. Client VS Customer– On this episode, Kevin Lawton clears the air on the difference between a client and a customer in the real estate business. Your Rights and Their Rights– On this episode, Kevin Lawton goes over more rights that tenants and landlords have, including what rules tenants need to see in their leases, and more. Peace Of Mind– Continuing off of last week’s topic, Kevin Lawton talks about home inspection from the seller’s point of view with returning guest Carlo Vitale. Sell It– This week, Kevin Lawton talks about the preparation that goes into selling your home, putting a price on it, and how you should trust your real estate agent. Getting Into The Spring of Things– This time, Kevin Lawton talks about the spring season and how it affects the real estate business, as well as the nature of leases and tenant rights. Flying Solo– Kevin Lawton’s flying solo on this episode of The Real Estate Deal, where he talks about his blog posts, including future listings and more! Brad Is Back– Brad Zerbe of Gateway Mortgage is back as a guest on The Real Estate Deal. Kevin and Brad talk about construction loans, rehab loans, and various other types of loans. The Deed Will Be Done– On this special edition of The Real Estate Deal, Kevin will be joined by Sidney D. Torres from CNBC’s The Deed to talk about the show, as well as some of his experiences as a home flipper. Also, Kevin gives his prediction of the direction of the real estate market in 2017 and more. Talking Title– Kevin Lawton is joined by Chris DeSantis of Surety Title Company, LLC. to talk about how title insurance affects people buying homes, debunking the misconceptions of what Chris does, and more! Like Father, Like Son– Kevin Lawton is joined by his father, Frank Lawton, who is a realtor with 35 years of experience. The Lawtons discuss the current state of the real estate market and more. The Godfather…of Home Insurance– On this installment of The Real Estate Deal, Kevin Lawton is joined by Brian Guzman of Martin Insurance Group from Cranberry, NJ. Brian joins Kevin to talk about the many benefits of home owner insurance that you can’t refuse. Inspector Carlo– On the fourth episode of The Real Estate Deal, Kevin Lawton is joined by Carlo Vitale, President and Inspector of Vitale Inspection Services LLC. Listen in to learn about the home inspection process works, how to keep radon out of your house, and more! Lawyer Up– This week, Kevin Lawton is joined by Linda Osman, a real estate attorney from the Chesterfield area. Linda and Kevin go over the attorney’s role in the transaction and what to do if the deal on the house falls apart. Paul, Mary, Ice Cream?– On this week’s installment, Brad Zerbe of Gateway Mortgage Group joins Kevin Lawton to talk about mortgages, how they work, and how to get them. Also, Brad tackles about the age-old question: Paul, Mary, Ice Cream VS Mary, Ice Cream, Paul? Listen in to find out what that means! Welcome to The Real Estate Deal!– Join Kevin Lawton for the first installment of The Real Estate Deal, where he introduces himself, discusses how he works with clients, and talks about… sweat equity?